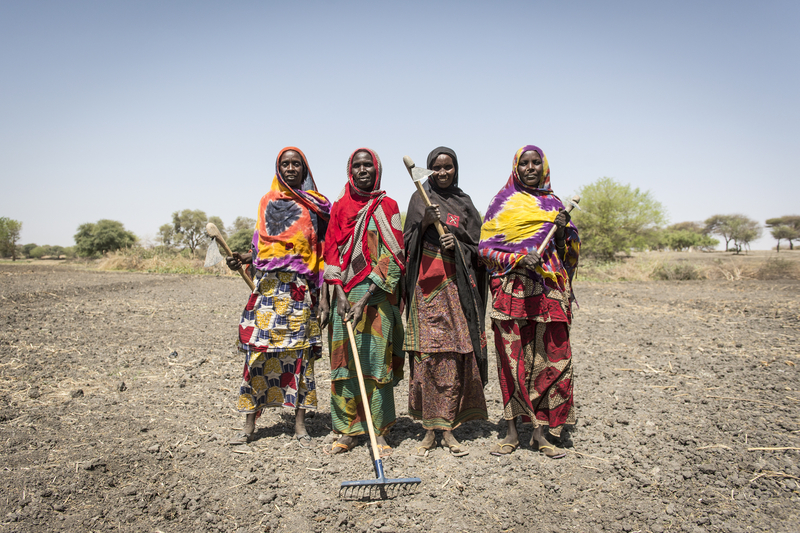 Chad is an arid, low-income and landlocked country, suffering from chronic food insecurity. Conflict in neighboring countries has put additional pressure on already limited resources. Since 2003, Chad has been receiving refugees from neighboring countries, welcoming around 450,000 long-term refugees from Sudan and Central African Republic (C.A.R). Due to limited resources and recurrent climate shocks in the Sahelian belt, the country struggles to tackle malnutrition and precarious health issues. Chad has become more volatile to crisis in neighboring countries, such as Sudan, Libya, C.A.R. and currently Nigeria. Chad has a population of 11.4 million, predominantly rural. Households are dependent on farming and livestock for their livelihoods. In the last 50 years, since the country’s official independence, high levels of poverty, aggravated by numerous conflicts and ethnic tensions, have had a negative impact on economic development. As a result, 87 percent of the rural population lives below the poverty line and has limited access to basic education. 63 percent of the population is enrolled in school, resulting in an adult literacy rates of 34 percent as of 2011. Chad is ranked 184 out of 187 countries on the 2014 UNDP Human Development Index. Food insecurity in Chad is primarily caused by a lack of access to food. Despite progress achieved, more than 3 million rural Chadians are in need of humanitarian assistance, while 790,000 people need emergency food assistance. Protracted relief and recovery operation: WFP is targeting 2.2 million people for assistance under this program, including vulnerable Chadian populations, C.A.R. returnees and long-term refugees from C.A.R and Sudan. WFP expects to provide food assistance for 1.4 million people in 2015. In addition, blanket supplementary feeding is being provided to local populations through seasonal interventions as well as to conflict-affected populations in the Lac region for a duration of 120 days. The program assists IDPs, refugees and pastoral populations affected by the livelihoods crisis. Targeted supplementary feeding, through health centers and mobile clinics, is also being provided. School meals program: This program aims to improve the enrollment, attendance and primary school retention rates of children from vulnerable rural households. The project has a special focus on gender. In addition to daily hot meals served at school to all primary schoolchildren, WFP provides families of girls in grades five and six with a monthly take-home ration of oil to encourage parents to send girls to school. The school meals program targets 265,000 primary schoolchildren. Emergency operation: Following an appeal to the international community by the Chadian Government in January 2014, WFP Chad launched an emergency operation to respond to the needs of people who fled violence in C.A.R. WFP provides food vouchers and e-cards, as well as general food distributions for people taking refuge in sites in southern Chad, as well as nutrition support for children and mothers. In support of the humanitarian community in Chad, WFP manages the U.N. Humanitarian Air Service, with four aircraft providing a link to 17 destinations throughout the country for both personnel and light cargo. Aircraft operations have bases in various locations in the country, including N’Djamena, Abéché and Goz Beida.